Dr. Kliewer’s specific area of interest in the GI field is in the treatment of Inflammatory Bowel Disease (IBD). As a physician of Adult Gastroenterology Associates (AGA), Dr. Kliewer is proud to be a part of a group that upholds high-quality standards of care for each patient. Every physician strives to be available to their patients, colleagues, and the community the facility serves. 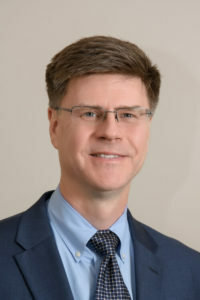 Over his last 20 years with Adult Gastroenterology Associates, Dr. Kliewer has seen tremendous advancements in the treatment of IBD, including new medications to treat the root cause and manage symptoms. New technology has also emerged, such as video capsule cameras that can travel farther along the GI tract than was ever previously possible. EMR (Endoscopic Mucosal Resection) has also been a groundbreaking procedure, allowing gastroenterologists to remove areas of diseased tissue four to five times larger than a typical biopsy. This eliminates the need for traditional surgery and is much safer for the patient.